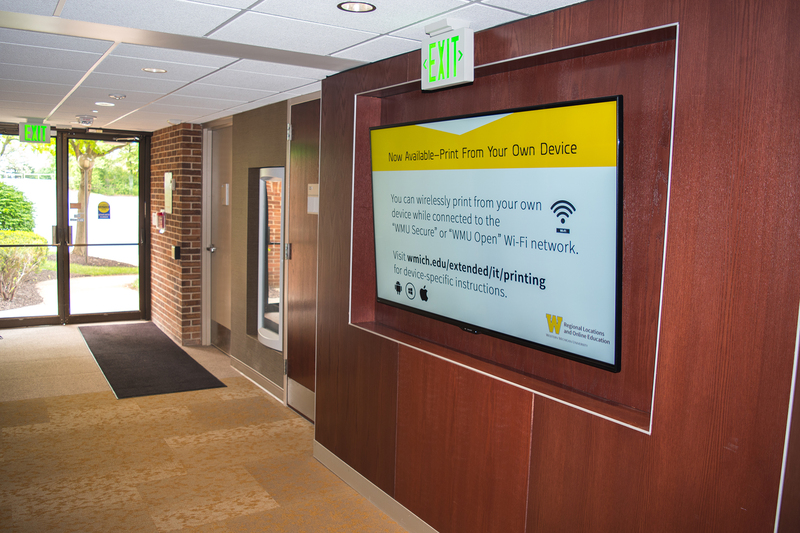 STERLING, Va., July 24, 2018	(Newswire.com) - Mvix, a leading provider of content-rich digital signage software and solutions, has been selected by ​​​​Western Michigan University, a public research university in Kalamazoo, Michigan, to implement a campus-wide digital signage network. The network comprises 30 networked screens across 13 university facilities in Michigan and two satellite campus locations in Florida. Western Michigan University (WMU) was founded in 1903 and enrolls 23,000 students a year. It has grown to become a major national research university with 147 undergraduate degree programs, 73 master's degree programs, 30 doctoral programs and one specialist degree program across their seven degree-granting colleges. In addition to the main campus in Kalamazoo, WMU has eight regional sites throughout Michigan and Florida, including locations such as Grand Rapids, Lansing, Detroit, Traverse City, and Punta Gorda. Prior to the digital signage implementation, each regional site had to provide their own messaging solution, whether that was paper bulletins on cork board signs, cardboard posters or PowerPoint presentations on USB drives. This hodgepodge approach to communication wildly varied in success. As a result, the university marketing team found it difficult to create consistent branding and messaging due to the lack of an organized, straightforward communication system. Western Michigan University wanted a streamlined, integrated network that could simultaneously connect all of their regional sites to the same communications channel. At the same time, the system needed to provide flexibility for the local sites to have their own relevant messaging. Finally, the display network would require a cloud-based content management software that allowed multiple users to edit and publish content simultaneously. Mvix implemented a network of 30 digital signage displays at 15 different campus facilities in Michigan and Florida. The Mvix cloud-based digital signage network has provided Western Michigan University complete flexibility in scheduling and publishing branded messaging while remaining an efficient and easy-to-maintain solution for the IT staff. To read the detailed case study, download a free copy here.